Biore UV Aqua Rich SPF 50PA+++ was launched last year (I think). As a person with very oily skin, it is really difficult to find the ideal sunblock that won't clog pores and provide the adequate sun protection. Before going into the review, I would like to share some useful information with you. What is UVA, UVB, SPF and the "+" symbol? UVA (ultraviolet-A): long- wave solar rays of 320-400 nanometers (billionths of a meter). - will cause loss of collagen, firmness, wrinkle and other types of "photoaging." UVB (ultraviolet-B): short-wave solar rays of 290-320 nanometers. - More potent than UVA in producing sunburn. How I remember UVA & UVB? 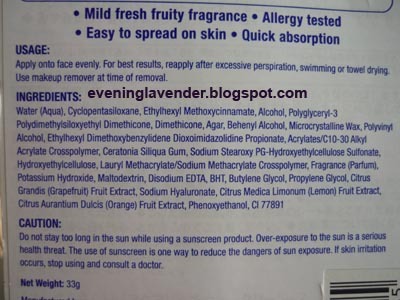 Sunscreens chemically absorb UV rays, sunblocks physically deflect them. Sunscreen can block UVB effectively, but have less UVA protection. 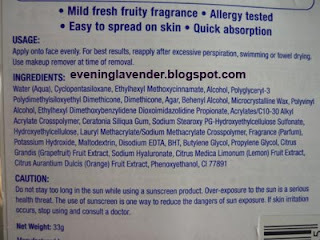 However, new ingredients such as octylcrylene and benzophenones have improved sunscreen's defenses against shorter UVA rays, and the revolutionary chemical avobenzone (Parsol 1789) works against all UVA wavelengths. Sunblocks with titanium dioxide can protect against both UVA and UVB. SPF 1 means that UVB can be blocked for about 20 mins. The Skin Cancer Foundation recommends SPF's of at least 15, which block 93 percent of UVB. While SPF's higher than 30 block only 4 percent more UVB. 1. This sunblock has a mousse texture and it is not oily. 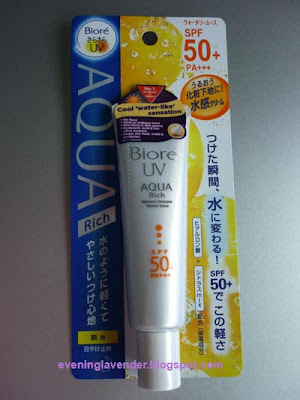 In terms of oil control for oily skin individual like myself, this Biore UV Aqua Rich is not very good in oil control. It is definitely not is not as good as compared to Biore UV Perfect Face Milk SPF 50+++. However, you you have normal/dry skin, you will be fine. After trying so many types of sunblock, I still think Biore UV Perfect Face Milk SPF 50+++ has the BEST oil control properties. You can read my review here. 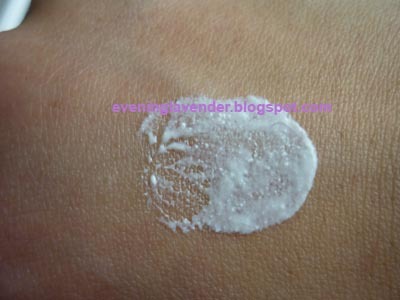 If you are interested, you can read my other sunblock reviews here. I bought this product after reading the review by Jess. Thanks babe for the link. this brand no try before so far using palmers brand and followme brand. Sherry, u can try them.